For the first time in Sri Lanka’s cricket history Australia were given a 3-0 whitewash in a 3-match Test series. Sri Lanka won the first Test at Pallekele by 106 runs, the second Test at Galle by 229 runs and the third Test at the SSC by 163 runs. The Test series took place from July to August. Sri Lanka had earlier won against Australia only once at home in 1999 when they recorded a 6-wicket win at the Asgiriya Stadium in Kandy, and with the remaining two matches at Galle and SSC ending in draws, the hosts won the series 1-0. Sri Lanka, under the captaincy of stand-in skipper Rangana Herath, recorded a 2-0 whitewash in the two-match Test series against Zimbabwe in October – November. Sri Lanka won the first Test by 225 runs followed by a 257-run win in the second Test. Both matches were played at Harare. Under the captaincy of Upul Tharanga, Sri Lanka won the Triangular Series which also involved hosts Zimbabwe and West Indies. Sri Lanka beat Zimbabwe by 6 wickets in the final. 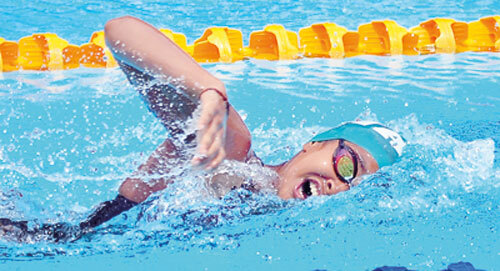 Matthew Abeysinghe won seven gold medals, two silver medals and a bronze in swimming at the South Asian Games 2016 held at Guwahati in India in February. 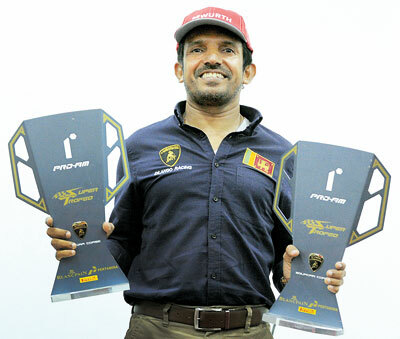 He claimed an overall medal tally of 10 out of 11 events and broke the record for most number of gold medals by a Sri Lankan at the South Asian Games set by Julian Bolling in 1991 in Colombo. 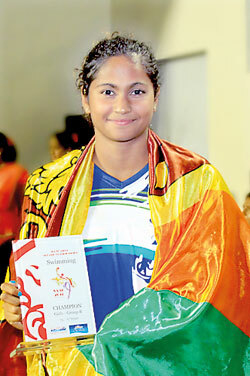 Alongside Abeysinghe, Kimiko Raheem won five gold medals and a silver medal at the South Asian Games to become the Sri Lankan women to claim the highest number of medals at the event. 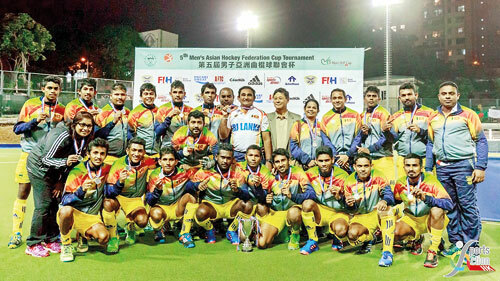 Sri Lanka emerged runners-up at the 5th Asian Hockey Federation (AHF) Cup Championship held in Hong Kong on November 27. Sri Lanka came out with a resounding performance, beating Hong Kong 2-0 in the semi-final but they lost to Bangladesh 0-3 in the final. In July, the Sri Lanka Under-20 7s Rugby team created history by winning the Asian Under-20 7s Series. Under the leadership of Kevin Dixon, Sri Lanka Junior Tuskers became the first ever Under-20 side to claim such an accolade. Sri Lanka beat South Korea by 38-0 in the final of the Third and Final Leg played in Malaysia. 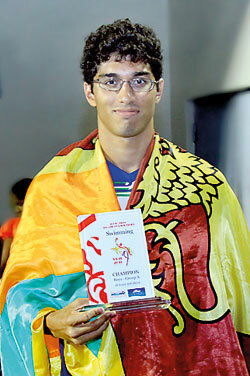 Sri Lanka went out as favourites after winning the First and Second Legs held in Johor Bahru in Malaysia and Hong Kong respectively. Among the significant sports happenings of the year 2016, Charith Asalanka”s second crown as the 37th Bata-the Sunday Times Schoolboy Cricketer of the Year 2016 award on November eleventh stands out. He bagged the title even in 2015 and this time he received the award from former Sri Lanka cricketer and former ICC Match Referee Roshan Mahanama, who is also a two-time winner of the same award. 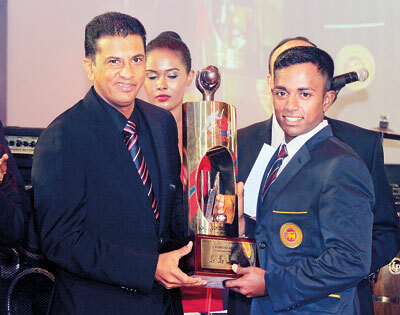 Others to win it twice are Arjuna Ranatunga and Thilan Samaraweera. 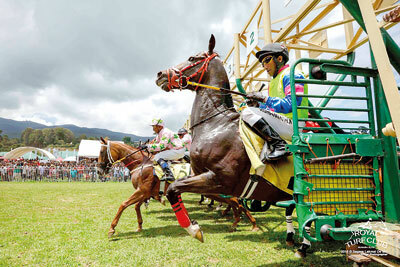 The highest ever prize money offered in Sri Lanka’s horse racing history was given away at the Kunigal Magic Million Meet held in Nuwara Eliya in April. Charlatan, owned by Deepthika Jayakody, emerged the lucky horse to win the Rs. One Million grand prize. Sri Lanka men’s team won the Carrom World Championship 2016 defeating strongholds India at the Carrom World Cup held in the United Kingdom. The Sri Lanka women’s team emerged runners-up to India at the same event. In cricket administration the year began with the election of Thilanga Sumathipala as the President of Sri Lanka Cricket defeating the other cricket strongman Nishantha Ranatunga in a hectic battle for supremacy. K.H. 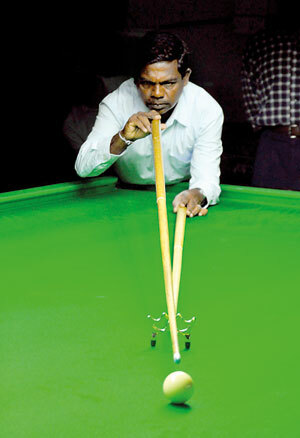 Sirisoma, representing Sri Lanka Ports Authority, won the National Billiards Championship for the 25th occasion, which is a unique record in Sri Lanka. He surpassed legendary M.J.M. Lafeer’s record of 19 national wins and stretched his winning streak at the 68th National Championship in November. Why remove Volleyball as the National Sport at this juncture?